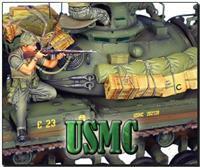 First Legion is extremely proud to present our latest figure range, the Vietnam War!!! From the Mekong Delta to the DMZ, First Legion will take you there. 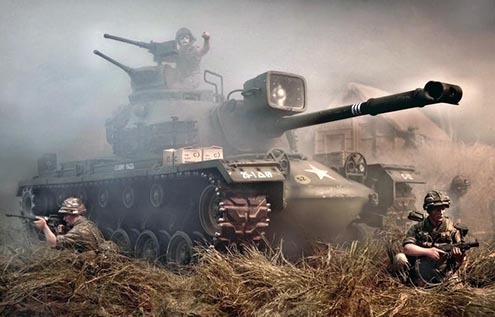 Technically not a war as the US Congress never officially declared war, the US conflict in Vietnam lasted some ten years from 1965-1975 and wholly defined an entire generation of Americans. Our intention of course is to leave the politics of the war aside and focus solely on the military portion of the conflict with some of the finest figures we’ve ever produced. 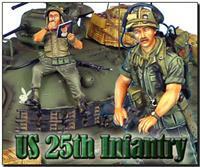 We’ve started off with US Infantry from the 25th “Tropic Lightning” Infantry Division. The division was heavily engaged throughout the war in and around the area of Saigon and is heavily associated with such battles as in the Iron Triangle, the Ho Bo Woods, the Boi Loi Woods, Hoc Mon, War Zone C, and even Cambodia. We have chosen to present them as they would have appeared in 1968/1969 right around the TET Offensive and the battles which followed with full kit out on a search and destroy operation. 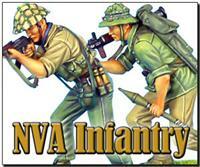 With the superb sculpting and painting that we are renown for, these are surely some of the finest Vietnam War figures ever created. We sincerely hope you enjoy them and appreciate our attempt to bring to life one of the most controversial and defining chapters in American history.